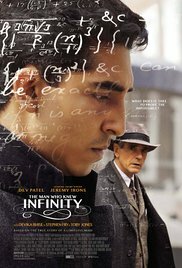 The Man Who Knew Infinity, released on DVD this year, is a film based on the biography of self-taught mathematical genius Srinivasa Ramanujan by Robert Kanigel. Srinivasa grew up in poverty and became enthralled with numbers, formulae, and mathematical theory. 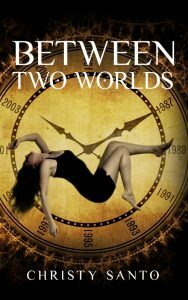 He taught himself most of what he needed to know about each and some of it came intuitively. This passion for all things math comes much to the chagrin of his mother and wife who at times feel neglected. When he is a little older, Sirinivasa struggles to become employed but after he shows one of his computation books to Sir Francis Spring’s right hand man, everything changes for him. As Sir Francis Spring gets to know Sirinivasa more and his skills in mathematics, he decides to use a contact of his to get the young man’s work before Trinity College, Cambridge mathematics’ Professor H.G. Hardy. After reading then studying a few pages of Sirinivasa’s work he knows he wants the young man at Trinity College. In the film Dev Patel portrays Sirinivasa Ramanujan and Jeremy Irons portrays H.G. Hardy. Although a story like this is very familiar to me , the performances of the actors are heartfelt and ring so true that it felt worth it to me to watch the film through. I am glad I did. I really like the growing relationship both as student/professor and as one man to another grow as the film progressed. And of course of course H.G. Hardy drive to see this young man succeed. There is much to recommend this film but one thing I would have liked is more about Sirinivasa’s wife and mother especially a focus on the last year of his life. A neat post script from the film is that some of Sirinivasa Ramaujan’s work helps make sense of black holes.